There is the odd occasion that may require you to manually update GAL in exchange – whatever version or platform you may be using it on. 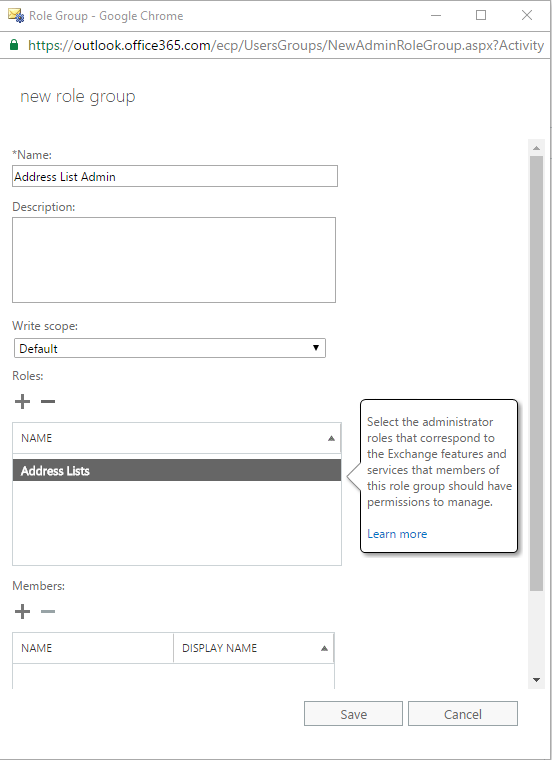 For O365 – it’s a little bit more complicated, first we need to make sure that the Admin has the ‘Address List’ role. Sometimes in the IT world you just need to let off some steam – sometimes a pile of old PC’s through in the PC ‘Graveyard’ are a fun way to do so. Often we will play with various ways to kill off old PC’s before they are then securely wiped and recycled, and this command we are about to go into is one of the basics. Yes it really is that easy to kill a windows PC! Lets go through it and some of the pitfalls you may find. /S – Deletes specified files from the current directory and all subdirectories. Displays the names of the files as they are being deleted. /F – Forces deletion of read-only files. /Q – Specifies quiet mode. You are not prompted for delete confirmation. C:\windows – The destination we are deleting. Why does this work? – Well most people reading this know already, but if you didn’t – the Windows folder simply put is the heart of the Windows operating system. Killing it will stop the OS from booting. Most users readers will be asking “Why put the C:\Windows” at the end of the script, should it no logically be put in front of the other switches? Well this is to do with personal preference really, and to do with the fact that it is convinient to then go about and delete more contect using the same script, by hitting up arrow, then simply backspacing and changing your destination. Lazy much? You bet you! p.s. This is for information only – be responsible!